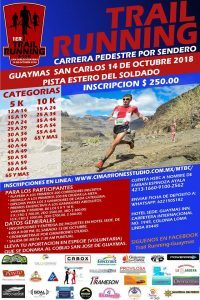 Everyone is invited to compete on Sunday, October 14 in a Trail Running Race at Pisa Estero del Soldado starting at 7:30am. The cost is 250 pesos. The first 200 registrants will receive a free event t-shirt. Register online here. Pre-registration is needed. There will be no registration on the day of the event. 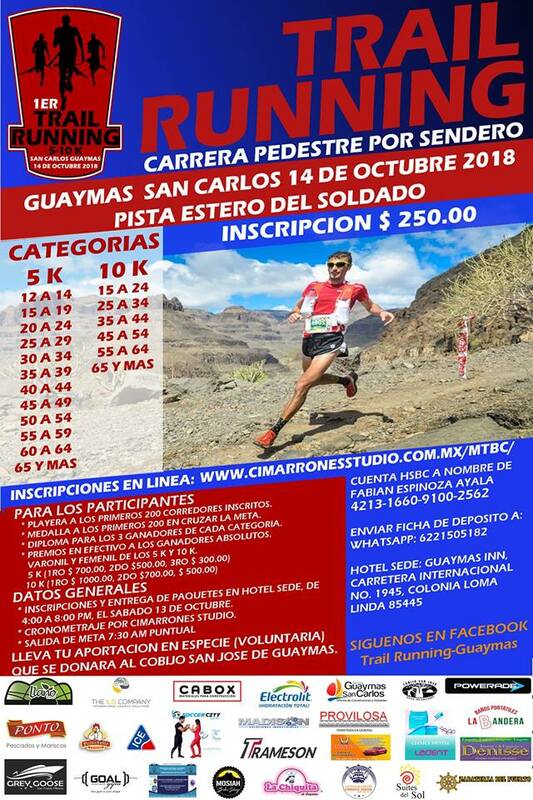 Pick-up your race package on Saturday, October 13 from 4:00pm to 8:00pm at Hotel Guaymas Inn.